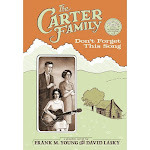 Carter Family Comics: Don't Forget This Blog! : Bezango Speaks to Frank and Jim! Bezango Speaks to Frank and Jim! Click on the picture above to see a brief excerpt from a two-hour interview done with Ron Austin and Louise Amandes. The discussion touched on The Carter Family GN, and on colorful aspects of Northwest comics life. 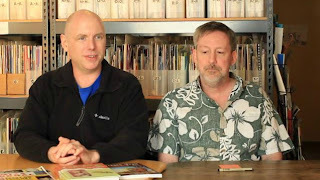 Here, Jim and Frank discuss the importance of the ZAPP (Zine Archive and Publishing Project) library at Seattle's wonderful Richard Hugo House.